Anthem is less than two weeks away, and BioWare finally revealed more details on the game’s endgame and post-launch content. 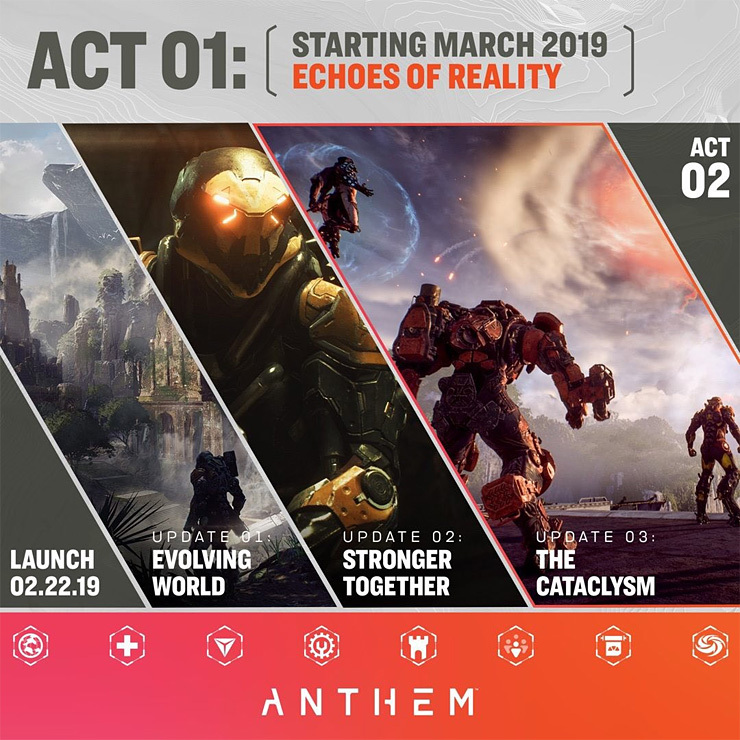 Anthem officially releases on the 22nd of February, and will receive three acts to complete its storyline. The first act, titled Echoes of Reality, is scheduled to release later in March, with two more acts yet to be revealed. However, even Echoes of Reality, will get introduced to the game split into three updates, Evolving World, Stronger Together, and The Cataclysm. As previewed before during the game’s beta, Cataclysm are events that take place throughout Anthem’s world, causing “physical changes to the world like extreme weather, deluges of hostile creatures, and changes to the landscape that will reveal new mysteries to solve.” Below is a brief description of the post-content planned. As you explore the world of Anthem and take on missions, your Pilot level will increase. Once you reach Pilot Level 30 – the max level – you can continue to upgrade your javelins by adding higher-level gear to your loadout. The higher the rarity, the better the gear, and the harder it is to get. As you become a more powerful Freelancer, people in Fort Tarsis start to notice you more – and some of them would love to put you to work. Factions within Fort Tarsis will offer you contracts. Improving your reputation with different groups will give you access to crafting blueprints. Prove yourself to your faction partners, and you may find yourself on the receiving end of a Legendary Contract. These multi-part missions take a lot more work, skill, and firepower to complete, but the rewards are far greater. Strongholds are some of the highest-level fixed challenges in Anthem, and they’ll put your entire squad to the test. These longer missions will have you fighting some of the deadliest enemies in the world, and plenty of them, as you delve deep into unknown territory. Fight your way past every obstacle, and you’ll be handsomely rewarded with some of the best loot in the game. Anthem will continue to grow, and you can expect to encounter new characters, missions, and stories in the future. Keep your javelins tuned and ready to go at a moment’s notice – you never know when you going to be needed. Anthem releases on February 22nd, 2019 for PS4, Xbox One and PC. Earlier today, we discussed Anthem’s director and lead producer’s mention of how free-to-playmodel was considered at first for Anthem’s development. 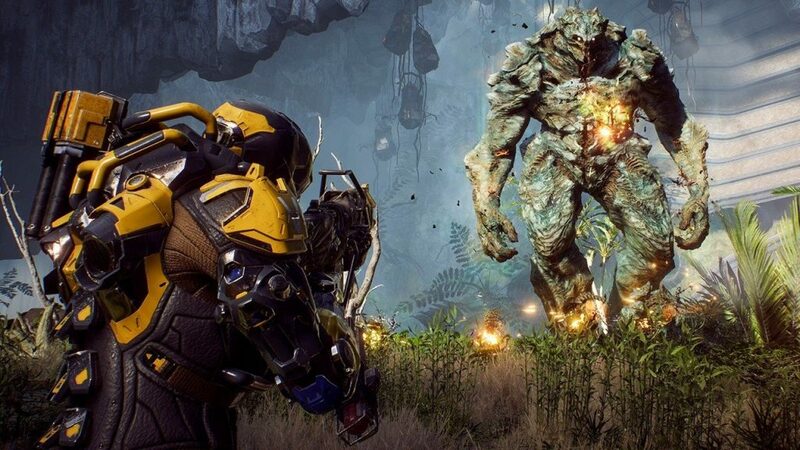 In addition to that, earlier this week, Anthem producer Scylla Costa clarified how players from different levels will still be capable of playing together. Anthem’s public demo is underway for those interested.